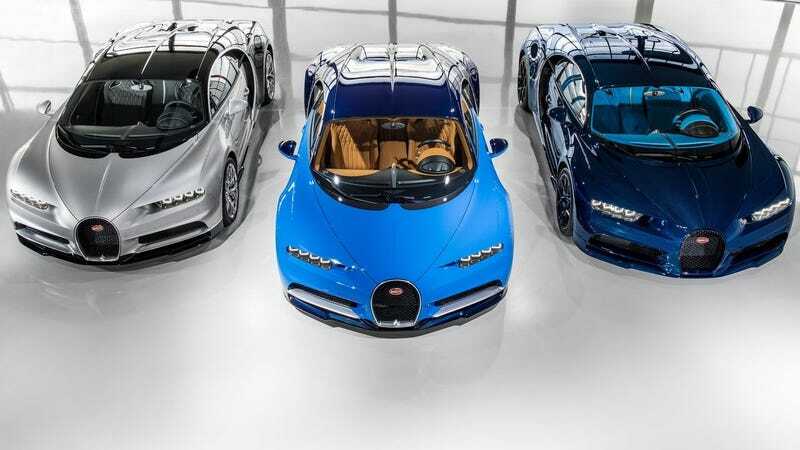 In news that makes perfect sense, Bugatti CEO Wolfgang Dürheimer has pretty much already confirmed that the next record-setting Bugatti hypercar will have to go hybrid. It was almost surprising that the still-new Chiron wasn’t a hybrid considering the direction the competition from McLaren, Ferrari and Porsche, but Bugatti managed to pull off another insane hypercar without electrification this time around thanks to upgrading existing components of the Veyron. But looking to the future, Dürheimer confirms that it’s likely Bugatti will have to turn to hybrid electrification for its next insane hypercar, but only because he believes the Chiron is the limit of what you can do without it, according to a discussion with Autocar. Production for the Chiron is set for eight years, but whatever Bugatti replaces the Chiron with may be delayed even longer if the brand decides to introduce a second, more “practical” model in the lineup. It wasn’t specified if this would be a sedan or a crossover or something else completely, but if Bugatti goes ahead with it, it just might push back the next Chiron over a decade away. Yikes, I guess that gives them more time to do, like, five “final” special editions of the Chiron. I just can’t help but think a hybrid Bugatti will already be facing fully electric competition if it does end up waiting that long. But who knows! We’ll have a better idea a decade from now.